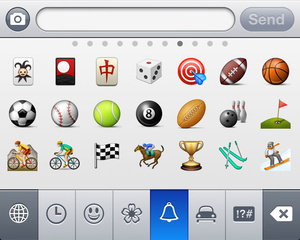 Apple released iOS 6 this week, bringing a handful of new features to iPhones, iPads, and iPod touches. While they defined many of the flagship features, several were left unsaid. 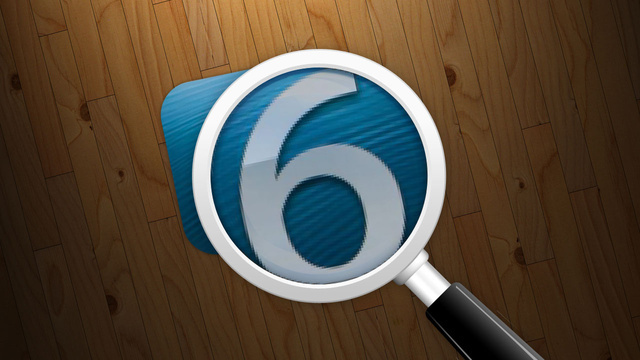 These are 10 favorite secret features in iOS 6. Pull to refresh is one of the greatest gestures that Apple took next to forever to adopt. 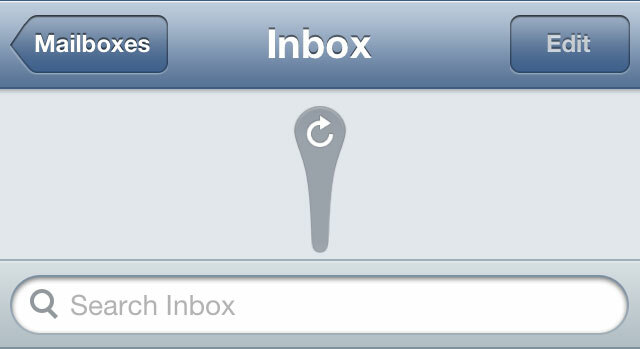 iOS 6 finally allows you to pull down to refresh your mail accounts and various other data sources. Ignore the reload button and start swiping down. Some people love their emoji—the cute icons you can add to messages, emails, or really anywhere that accepts text in iOS. Apple just added a ton of new options. If you have your emoji keyboard enabled already, you don't have to do anything. If not, you can enable it in the Settings app by going to General -> Keyboard -> Keyboards -> Add New Keyboard. That will bring up a list. Choose Emoji and you're all set. Everyone's trying to track you on the web, and your phone is no different. 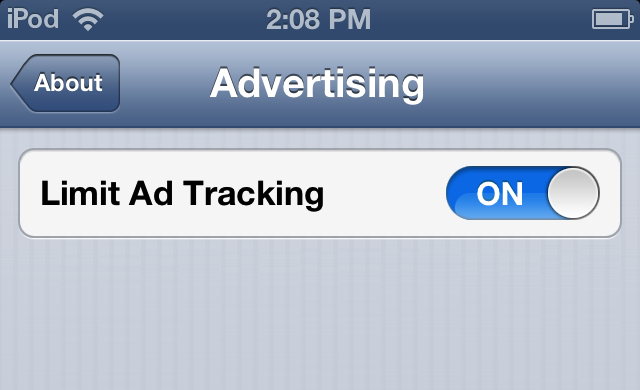 If you'd rather advertisers not track your activity and serve up targeted ads, iOS 6 lets you turn off tracking with a simple switch. Just head to Settings > General > About > Advertising and flip the switch to On. It may take a little while for you to stop seeing targeted ads, but soon enough your activity should be much more private. Apple update the Clock app—which I still hold to be my favorite native app—to give the alarm functionality a boost. 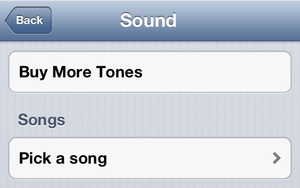 No longer do you have to wake up to one of your ringtones. Instead, you can pick any song in your library. You could even make a recording of yourself telling you to wake the hell up, sync it to your iDevice, and open your eyes to a sunny day and your own, obnoxious voice. Or you could just pick a song that you like. Regardless, you now have a choice. That's very much appreciated. 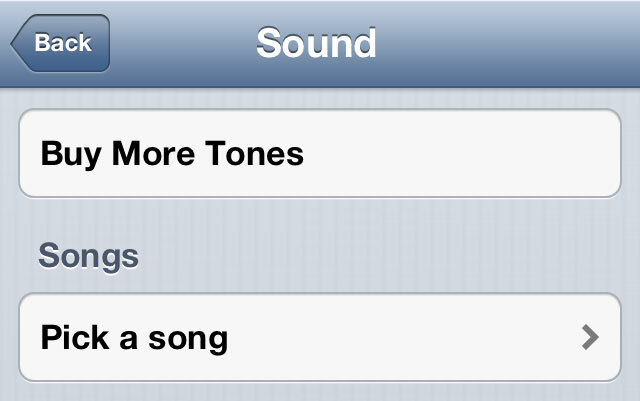 Although not available on all devices, newer iPhones and iPads have a new EQ setting: Late Night. This option lowers bass levels and attempts to make your music less-intrusive in the evening so you can listen and fall asleep easily without being distracted by anything too jarring. Why Apple didn't include this option on earlier devices is beyond us, but iOS 6 has shown how much they like to unnecessarily limit their software to keep you from getting off the upgrade treadmill. 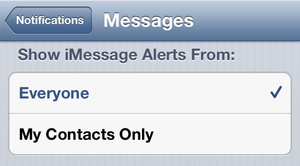 Don't care if you get an iMessage from an unknown source? You don't have to. 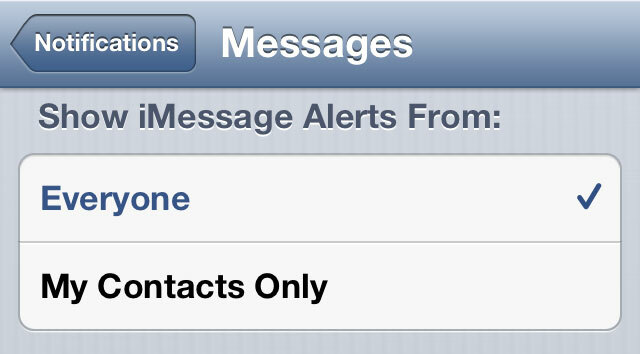 If you head into the Settings app, then Notifications, then Messages, you can set your alerts to only show up for your contacts. If you don't want to be bothered by people who aren't worth sticking in your contacts—like spam message bots, for example—iOS 6 lets you ignore them. Apple added text expansion to iOS 5, and it was awesome, letting you type in long usernames, addresses, and other text with just a few strokes on your keyboard. 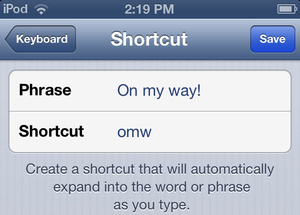 We showed you some essential shortcuts to set up, and now iOS 6 has made the feature even better, letting you sync it between your other iOS devices (like an iPod touch and an iPad)—along with your custom keyboard dictionary. To do so, you'll need an iCloud account. Then, just head to Settings > iCloud, and scroll down to Documents & Data. 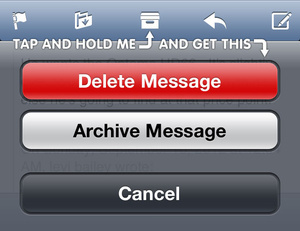 Tap it, flip the switch to On, and do the same on your other iOS 6 devices. 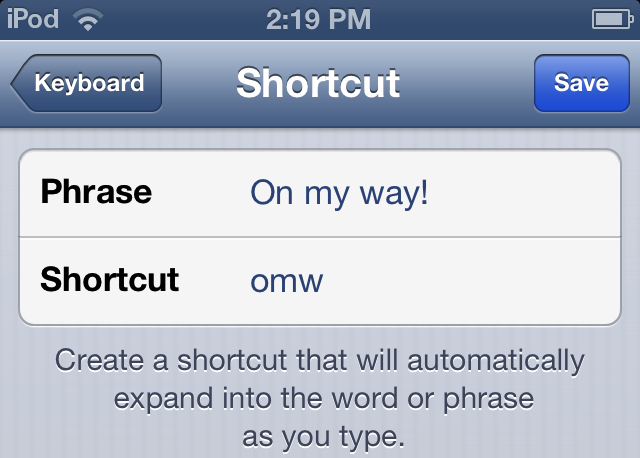 Your custom dictionary and shortcuts should stay in sync between all your devices. Apple told us Siri got smarter in iOS 6, but they neglected to mention that she'd launch apps for you. All you have to do is activate Siri and then say the word "launch" plus the name of the app you want to open. While this may seem a little lazy, it's really useful if you have a bunch of apps and don't necessarily remember where they all are. You no longer need to search—Siri can do the work for you. A common Mail complaint among Gmail users has long been the need to choose between archiving and deleting a message. iOS just never provided a way to choose on the fly. Now you can. 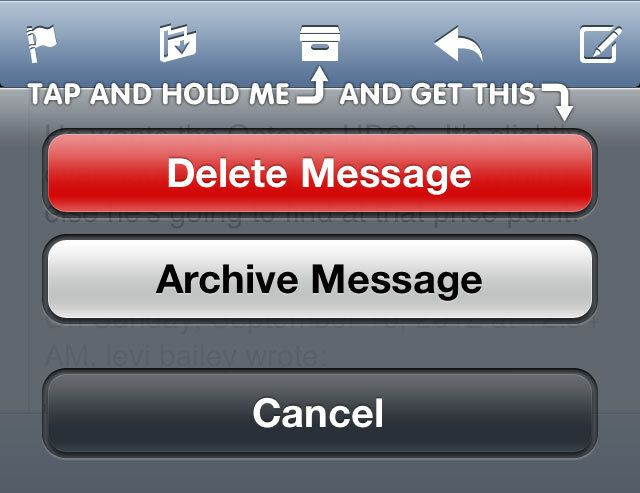 To do this, open a message, tap and hold the Archive button, and make your choice. The unfortunate reality is that you have to actually open the message to do this. You can't tap and hold the Archive button in list view to get these options. That said, it's a welcome improvement. We still prefer Sparrow, though. People are not happy with the new Maps app in iOS 6. It's full of problems. One of the major complaints is that it only provides driving directions, leaving walkers, bikers, and public transit users behind. The good news is that Apple didn't leave out these features entirely. In fact, walking directions are still available. To find them, just tap the bent arrow "directions" button in Maps and you'll see your recent destinations. From there, you can toggle between driving, walking, and public transit. Walking directions will work without issue. Public transit, on the other hand, will try to route you to another app (and fail, for now). Hopefully we'll see Apple improve Maps quickly and bring back these important, lost features. In the meantime, if this secret feature isn't enough to satisfy you then check out Lumatic. It might do the trick.